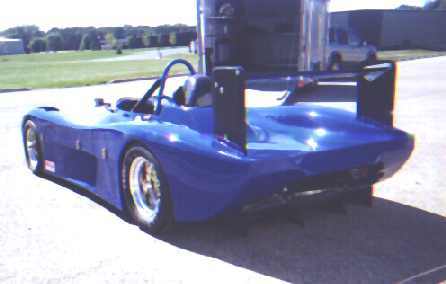 As seen in March of 2002 at the Savannah National. 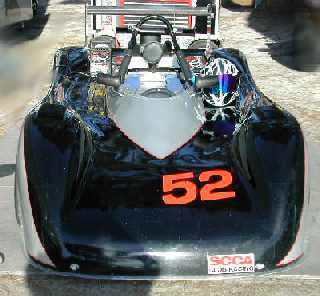 Rodger Cook's car, purchased from Tom Robertson, repainted silver and black. 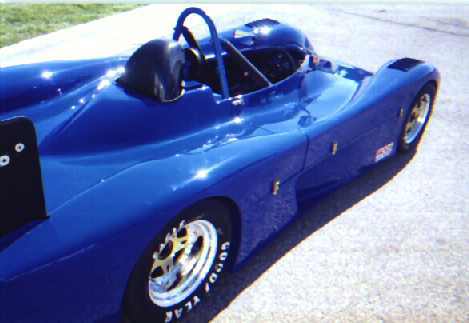 Chassis: Super stiff single seat lightweight monocoque w/ 4130 steel sub frames which are bonded and riveted to tub. Engine: The car is designed for The Yamaha YZF1000 motor. The Yamaha R1 would fit easily (lighter). Other bike engines would probably fit as well. Sorry, no car engines. The best and easy choice is probably a new Yamaha YZF from Diasio. 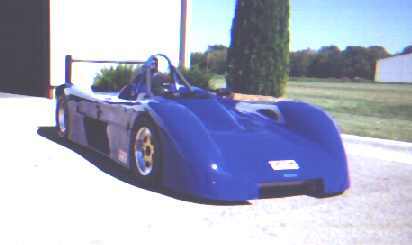 Track: Front 53.5", rear 50.3"
Body: 4 piece lightweight fiberglass. Available in five gelcoat colors; white, black, red, yellow, and blue. Suspension: Pushrod F&R with quick adjusters for ride height. High grade rod ends on all components, and quick adjustments for toe, camber, caster. ( change springs in 5 minutes). Shocks: double Penskes with special valving. Sway bars: Adjustable F&R, rear is T bar. Brakes calipers: 4 piston alloy front and rear. Wheels: Kodiak lightweight 3 piece centerlock. Advanced aero features: (side radiator on left side, oil cooler on right side), and no, the front open area in the nose is not for cooling! Steering rack: Custom Jack Knight high ratio. Fuel cell: Fuelsafe 7 1/2 gallon. Seat: Available in two widths; one for 150- 180 lb driver and also wider for the 190 - 230 lb driver. Seat belts: Willans 3" 6 pt. Material: Rollbars, and suspension components are 4130 steel. 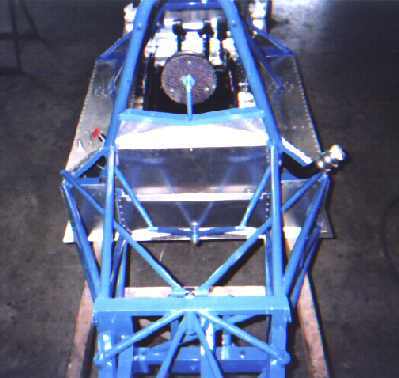 The steel chassis components are powder coated in a choice of ten colors. Steering wheel: Momo w/ spa quick release hub. Differential: Quaife LSD with quick adjusters for chain tension. Options: Carbon fiber is optional for the seat, rear diffuser, mirrors, rear wing and body sections. 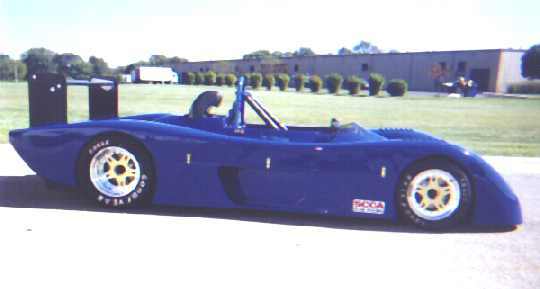 Price: $35- 37K for a rolling chassis (including racing tires / brand to be determined), depending on final specs which will be determined next week at Mid-Ohio. Homolagation: Current as of 9/20/2000, with SCCA.